Wayne P. Kerr, C.P.A., Esq., L.L.M. Wayne has been actively engaged in his profession since 1975. He was awarded the designation of C. P. A. in 1977 and is a member of the of the American Institute of Certified Public Accountants. He has a Bachelor of Science in Accounting from Elizabethtown College, a Juris Doctorate from Temple University School of Law, and a Master of Laws in Taxation from New York University School of Law. Wayne has addressed the Pennsylvania Institute of Certified Public Accountants on accounting and tax topics. He has also written articles on tax and divorce related topics. 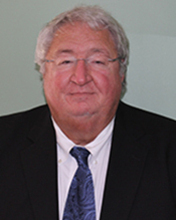 Wayne was a faculty member of the Temple Tax Institute and additionally was named in the “Best Lawyers in America” -expert witness section for his accounting expertise. He has been a guest on local radio stations to discuss taxation and real estate investing issues. Wayne has on numerous occasions, testified as an expert witness in the Court of Common Pleas, Orphans’ Court and Civil Court Divisions of the Commonwealth of Pennsylvania. Wayne is a frequent speaker to various real estate and investing groups on topics such as entity creation, tax and financial issues. Wayne always knew he wanted to be in business. At the age of 14 he was President of his Junior Achievement Company. He went on to achieving many records for his sales, marketing and leadership abilities. While in college he purchased his first five unit apartment building, and later sold it at a substantial gain. He passed his CPA exam after graduation from college and went to work for a Big 8 accounting firm. After a two year period, he went to work for a multi- millionaire businessman where he gained his wealth creation skills. It was during this period of time that he became aware of the importance of legal knowledge in working with businesses and subsequently obtained a Master of Laws in Taxation from New York University School of Law. Wayne has been working with successful business people for over 30 years. He uses his many years of education, combining it with his business experiences, to counsel his clients on how to build and retain their business. He is a published author, teacher, frequent radio guest and speaker in the areas of real estate taxation, entity selection, asset protection, tax, savings and wealth production strategies.